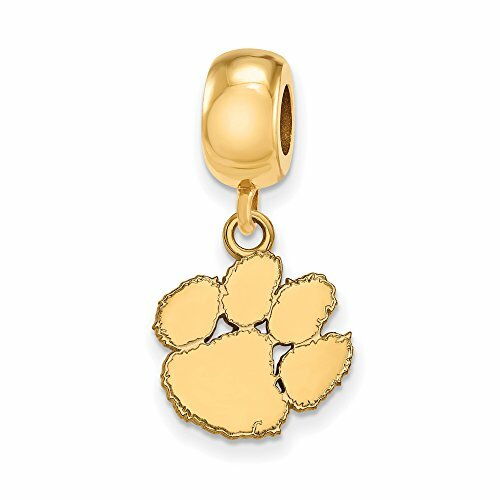 Show your school spirit with this Clemson University bead charm. It is crafted from 14k yellow gold plated sterling silver and measures 25 mm in length. We are a certified LogoArt retailer and this authentic item is licensed by the NCAA. These made in the USA bead charms are compatible with and will fit most major brand, 3mm width, bead style bracelets and necklaces.